Yoga may be rooted in ancient India, but it's morphed into something new in North America today. Precisely what that might be, however, is difficult to say. Yoga is taught everywhere from spas to prisons, and for everything from weight loss to spiritual transcendence. With its chameleon-like ability to adapt equally well to advertising, athletics, and ashrams, contemporary yoga is a fascinating phenomenon that invites investigation. 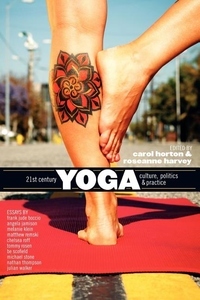 Written by experienced practitioners who are also teachers, therapists, activists, scholars, studio owners, and interfaith ministers, 21st Century Yoga is one of the first books to provide a multi-faceted examination of yoga as it actually exists in the U.S. and Canada today.